Nail art: not just for girls anymore! 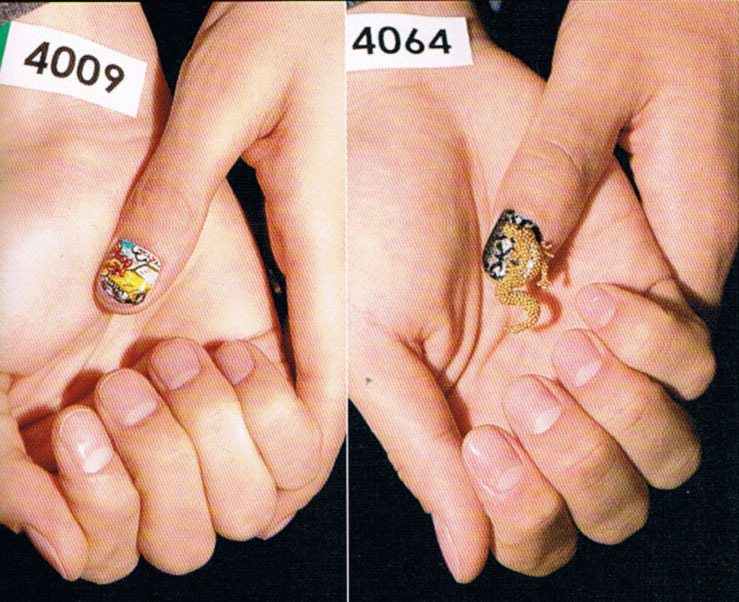 Apparently, this competition was mostly about who could turn their male models’ hands into paragons of nail buffitude, but then there are the…thumbs. The cartoon art would barely rate an eyebrow twitch, but what would your co-workers think if you turned up sporting that little gold dragon at the Monday morning meeting? From the pages of Stylish Nail magazine, winter issue.